I just couldn’t pass up the chance to ask Mr. Flowers face, to face, about the credit card dust-up in his office. For those who aren’t aware, former deputy treasurer, Erika Benner was forced to resign her post after it came to light that she had illegally charged personal expenses to her state issued credit card. Ms. Benner has since reimbursed the state, which in itself has become a bit of a controversy, within a controversy. It seems that Mr. Flowers has had a little trouble explaining exactly how much Ms. Benner spent, and how much was legitimate uses, and how much was illegal use. It seems according to Mr. Flowers, that Ms. Benner may have paid back more than she needed to, that some of the money she has paid back was in fact legitimate expenses that she was entitled to use the card for. Of course this all came out after the Division of Accounting began looking into Mr. Flowers’ use of his state issued credit card, and that he and Ms. Benner had used their cards in the same places at times. The most outrageous of Ms. Benner’s illegal uses of the card would have to be that she used the state issued credit card to purchase football tickets to see a game between the Patriots and the Cowboys, and also a car service for that same weekend. It has been rumored that Mr. Flowers may have also attended this game as Ms. Benner’s guest, at the expense of the Delaware tax payers. Another rumor is that there is actually a photograph of Mr. Flowers at this game. So yesterday I took my opportunity to ask Mr. Flowers flat-out, “were you at this game?”, his answer was a firm “no”. I then asked, “so there is absolutely no chance that a photo exist of you at this game?”. Again, he answered categorically, “no”. So until said photo surfaces, that part of the story would seem to be a non-starter. The other part of my discussion with Mr. Flowers was about the “accepted” practice of state employees routinely using their state issued credit cards, either for personal use, or as Mr. Flowers explained, many times employees go over their daily per diem, and then reimburse the state. However, there is clearly written policy that no employee is to use the state issued credit card except for approved expenses, and in my view, going over the set per diem, is an unapproved expense. So one has to ask, if the policy says no, why are employees routinely allowed to use for personal use, and to go over their per diem with the state issued credit card, and then, without any penalty, or consequence, just pay it back, only to do it again and again? In my view the only policy needed is termination and prosecution if a state employee misuses their card. Even if we are talking about the per diem, how hard is it to say to a waiter, “you can go up to this amount on my state credit card, and anything over that, you have to put on my personal card”? And if you either don’t have credit, or can’t afford the extra cost at that time, then eat at McDonald’s. Mr. Flowers’ answer would seem to be to rewrite the policy to specifically mention that paying back exceeding the per diem is acceptable. Again, in my opinion, this would only codify and condone the behavior, when what needs to be done is to discourage, and eliminate the behavior. I again call for a complete investigation and audit of “ALL” state issued credit cards. This is my money, and your money, and we have a right to know how it is being used. 2 Comments on "No, Means No!" If Delaware had an Inspector General this issue would be out in the open. The Auditor Office is inadequate. 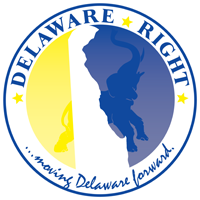 Still, as there is little to no GOP in Delaware Flowers will win re election easily. For all inquiring minds, I hear the AG’s office is putting an enormous amount of pressure on the former deputy treasurer to get the game pictures, emails and all other proof of a tumulus relationship between the Treasurer and his appointee. The rumor is he knew all along of those charges and participated in them as well. I think mr flowers is using her as collateral damage and anyone knew her knows this started from that crook. The more he denies the better off for those truly involved.